Our office has the incredible opportunity to host a program we believe would benefit our clients and the community! 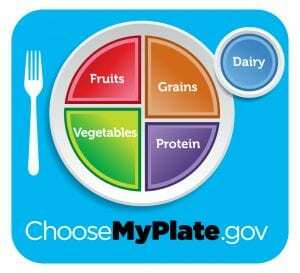 EFNEP is a program that lasts for 9 weeks and teaches participants about nutrition, physical activity, food research, and food safety. For anyone in the Cleveland community who meets these requirements and can make it to classes in the Old Brooklyn neighborhood, contact us! Send an email to cpippin@linerlegal.com to express your interest and get on the list for the EFNEP program. 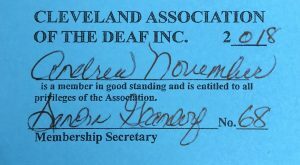 In February, Liner Legal set up an opportunity for the Deaf and hard of hearing community and the Cleveland police to discuss effective communication. Since this event, our office decided to make effective communication even more accessible. 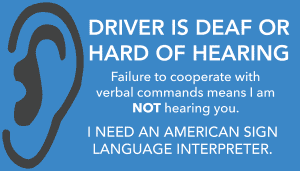 Our office created a resource for Deaf and hard of hearing individuals to have, so that they can relay to police officers or other officials that they cannot hear. We designed a card, that can fit inside a wallet, and indicates you are either Deaf or hard of hearing. This card will be helpful if you are driving and get pulled over because it allows you to let the law enforcement official know that you are not ignoring their requests; you simply cannot understand and they need to provide an option for effective communication. Send an email to anovember@linerlegal.com if you want us to send you one of these cards for free! We will mail it directly to you! The cards are the same size as a business card or credit card, and will look like the image shown above. 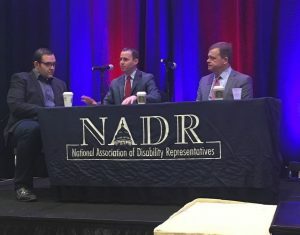 Attorney Michael Liner led a panel on marketing a law firm at the National Association of Disability Representatives Conference. The panel featured St. Louis, MO attorney Gary Burger and Columbia, MO attorney Tyson Mutrux. Following the panel discussion, they guided an interactive activity. The three lawyers provided tips on how a small disability firm in Georgia could improve their own marketing strategy.